A unique formula specifically designed to restore your body to its natural, original firmness. Made from pure Cocoa Butter and enriched with Vitamin E, Collagen, Elastin and Shea Butter, this non greasy lotion tightens skin even after pregnancy or weight loss. 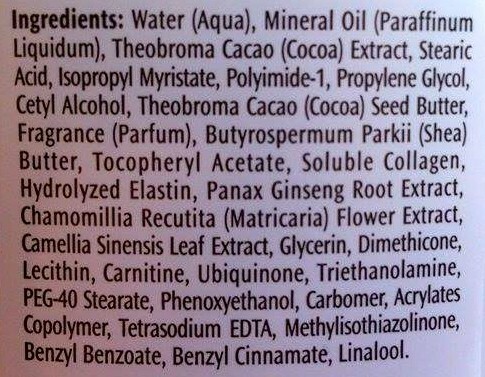 Pure Cocoa Butter, Collagen, Elastin and Shea Butter firms and tones while improving skin elasticity and texture. In addition, Ginseng and Vitamin E help to nourish and rejuvenate tired skin. Co Enzyme Q10 - a powerful antioxidant- stimulates skin cells for a more toned and smoother appearance. 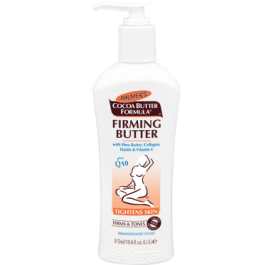 Gently massage Palmer's Cocoa Butter Formula Firming Butter all over the body twice daily- especially on thighs, legs, stomach and bust.